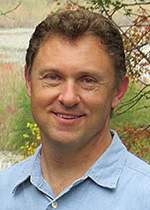 Dr. Giordano received his undergraduate degree from King’s College in Wilkes-Barre, PA, with a Bachelor’s Degree in Biology. He received his Doctor of Podiatric Medicine degree in 1999 from Temple University’s College of Podiatric Medicine, graduating in the top twenty percent in his class. Dr. Giordano did post-graduate residency training from 1999-2001 in Providence, Rhode Island at Roger Williams Medical Center, associated with both the Boston University and Brown University School of Medicine. He enlisted in an additional residency from 2001-2003 in the Oakwood Hospital System, associated with Wayne State University’s medical school. Dr. Giordano worked for several private practice groups before establishing Shelby Foot & Ankle, the primary hub of Foot & Ankle Associates of Michigan. He has had the wonderful opportunity to join forces with Dr. Martin to form a practice which employs the most current methods for treating foot and ankle disorders. Dr. Giordano takes immense pride in having seen his business grow from a rented two-room facility in October 2006 to the practice it is today, comprising six locations in three counties across Michigan. Dr. Giordano enjoys the academic aspects of his profession, frequently attending conferences to stay abreast of the most up-to-date treatments for foot and ankle pathology. He has lectured numerous times across Michigan, and is an active member of the American College of Foot & Ankle Surgeons, the premiere surgical society for the profession. 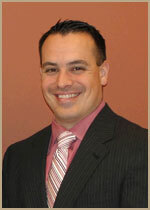 He is board certified in Foot Surgery from the American Board of Podiatric Surgery. He enjoys spending time with his wife, Maryann, and his chocolate labrador. Dr. Giordano is a music aficionado, and plays several instruments. He also loves staying in shape and for the past several years has been training in the martial art Brazilian Jiu-Jitsu. Dr. Ronald Martin received his degree from Michigan State University. Obtaining his medical training at the Dr. William Scholl College of Podiatric Medicine in Chicago, he completed an extensive residency program at Kern Hospital in Warren, Michigan. 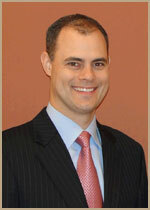 While at Kern Dr. Martin was trained in complicated foot and ankle surgery, including diabetic ‘Charcot’ reconstruction. Dr. Martin specializes in minimally invasive surgery and takes pride in his success addressing the most difficult cases. Dr. Byron received his undergraduate degree from Eastern Michigan University, and earned his doctorate from the Ohio College of Podiatric Medicine. After graduating in 1998, he completed his podiatric medicine and surgery residency at Genesys Regional Medical Center in Grand Blanc, Michigan. Dr. Byron is a board-certified Diplomat of the American Board of Podiatric Surgery, and Associate member of the American Academy of Podiatric Sports Medicine. A member of both the American Podiatric Medical Association and Michigan Podiatric Medical Association, he is also secretary and board member for the Northeast Division of the MPMA. His private practice, established in 2005, is located in Hartland, Michigan, and has been a practice associate in the Flint area for over ten years. Dr. Byron has hospital affiliations with Genesys Regional Medical Center, McLaren Regional Medical Center/McLaren Surgery and Endoscopy Center (Flint) and The Surgery Center-Genesee (Flint Township). Dr. Macsuga grew up in Goodrich, Michigan. She did her undergraduate education at the University of Michigan where she obtained a Bachelor’s Degree in Human Biology. She then completed her Doctor of Podiatric Medicine degree from Temple University’s College of Podiatric Medicine. 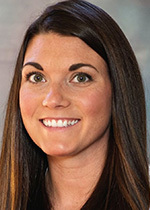 Dr. Macsuga’s post-graduate residency training was completed at the Detroit Medical Center where she was Chief Resident. Her training had a high focus on foot and ankle reconstruction, trauma, revisonal surgery and diabetic limb salvage. Dr. Macsuga prides herself on being up to date on the latest procedures and treatment options in podiatric medicine and surgery. She feels confident in treating all conditions of the foot and ankle. She is an active Associate Member of the American College of Foot & Ankle Surgeons and is board qualified in Forefoot and Rearfoot Surgery from the American Board of Podiatric Surgery.